Linda L. Cook provides tax consulting and compliance services to individuals, professionals, and business clients in various industries. 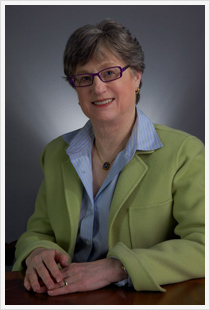 She has developed expertise in individual, S corporation and partnership taxation. She also has considerable experience with multi-state corporate and individual taxation issues. In addition, she has experience with representation before the Internal Revenue Service. Before her employment with Anne L. Stone, & Associates, LLC, Ms. Cook was a Senior Manager in the Personal Financial Practice of KPMG Peat Marwick in Washington, D.C. In her twelve years with KPMG, she developed expertise in personal financial planning and retirement planning. She also has experience dealing with tax planning issues associated with closely-held businesses. Ms. Cook has primary responsibility for providing comprehensive tax services to a wide range of clients. These services include: federal and state tax compliance and tax consulting engagements for individuals, corporations, partnerships, and trusts and estates; client representation during Revenue Agents’ Examinations; tax and financial planning for private business owners in various industries; and analysis, review and design of employee benefit programs to achieve corporate objectives and maximize executive utilization. Ms. Cook received a Bachelor of Arts degree in Philosophy and a Master of Arts degree in Economics from the University of Washington. Ms. Cook is a certified and licensed public accountant in the state of Virginia. She is a member of the American Institute of Certified Public Accountants.